Control4 ranks No.1 in seven of the 2018 CEPro Brand Analysis categories and No. 2 in five others. Salt Lake City, UT – July 5, 2018 – Control4 Corporation (NASDAQ: CTRL), a global provider of smart home solutions, was named the top home automation provider in seven of the 2018 CE Pro Brand Analysis categories and secured its ranking as the Brand Leader in Whole-House Automation for a fourth consecutive year. Pakedge, the line of networking products produced by the Control4, was named the Brand Leader for Home Networks for an impressive sixth year in a row. Control4 continues to dominate the custom home technology market by developing best-in-class solutions that integrators can scale and homeowners can personalize to meet a variety of needs and desires. 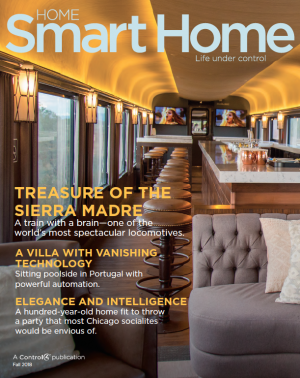 The smart home company continues to remain a popular, go-to choice for top dealers and supports its dealer-base by creating sales, training, and marketing programs that allow authorized Control4 dealers to increase their customer satisfaction and capture market share. The recently launched Control4 Certified Showroom Program and the #C4Yourself Day open house event, which drove consumers to meet and consult with home technology professionals in state-of-the-art Control4 demo rooms in 140 locations around the world, is one example of how dedicated Control4 is to dealer success. Additionally, Control4 ranked second in the Lighting Control, Universal Remotes/Tablets, IR Distribution Systems, Phone Systems/Intercoms, and Remote Managed Services categories. There is notable increase in surveyed use of Control4, particularly in the categories of Universal Remotes/Touch Screens, Lighting Controls, HVAC, Multi-room A/V Systems, and Remote Managed Services, all of which jumped by 9%. The greatest increase in surveyed Control4 use was in the Audio Amplifiers category which jumped by 14% since last year. The CEPro Brand Analysis serves as an industry evaluation of the brands that are most important to the industry’s top 100 highest-revenue generating integrators. Data and insights are collected from survey responses submitted by the largest U.S.-based integrators of custom electronic systems, including audio, video, lighting, whole-house controls, security systems, motorized shades and other electronic devices across 58 categories.